took a while to read. it was alright. 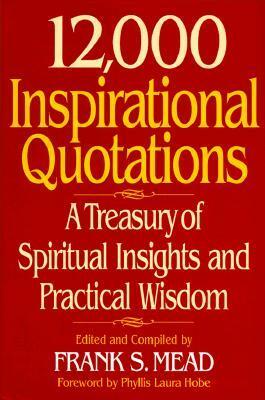 some of the quotes were worthwhile, although most of them really weren't. Definitely full of quotes I haven't come across before. Frank S. Mead - Frank S. Mead was a renowned authority on the historic and contemporary church. He served as editor of the Christian Herald, was a consulting editor for several large publishing houses, and wrote articles for the Christian Century, Christian Herald, and Reader's Digest.